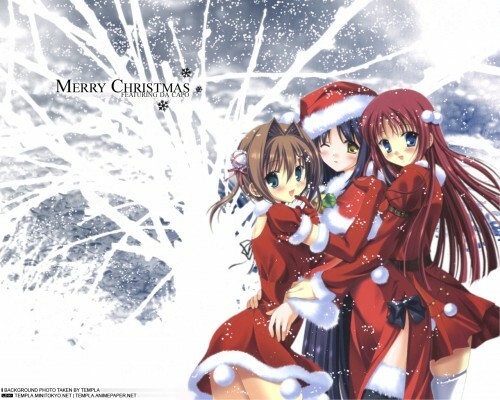 Idea: I wanted to make a christmas wallpaper with some Da Capo characters. Now I made it, hope that you like it. - Everyone I'm still searching new friends, add me or write a message! - I have birthday on christmas the 24th december, I would be happy if you congratulate me! Oh Nice wall! So cute! I love it very niceeee...! extraction which is very well. is clear...the photo looks nothing like what you said. can they get any hotter than this! Wow, this is really nice. Thanks. I don't know the two persons beside kotori but, they looks beautiful!